When it comes to die cut oval labels or any other label varieties, we at PLC understand our customers’ requirements more than any other player. Being in the industry for over 30 years has equipped us with unfailing expertise, doubtless experience and flawless quality. 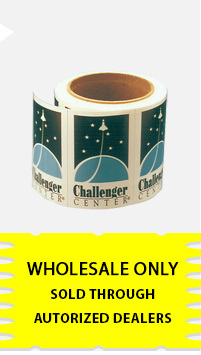 As an established wholesale label supplier, we have retained a wide customer base in the form of printers, resellers and brokers across USA and have served them with high-quality labels that are use in multiple commercial and industrial applications. It is extremely easy to work with us as we are readily reachable through a phone call and one can easily place an order. We strictly adhere to deadlines for delivery of quality products at the customers’ doorstep. We value our customers’ time and hence offer quotes instantly on phone without any delay or unnecessary setback. We understand the value of our customers’ money and thus provide die cut oval labels and other varieties at competitive prices to suit our customers’ budget. In case a customer opts for prepaid orders, he/she is eligible for free ground shipping within the territory of USA. Our high-quality die cut oval labels are competitively priced and are accurately designed in order to meet clients’ specific identification requirements. Besides, we also cater to our clients’ unique business requirements by supplying them with custom-made die cut labels. 3/8"X 1/2" 1" X 1 7/8" 2" X 3" 3 1/4" X 4 1/8" 4" X 6"
1/2" X 13/16" 1 3/8" X 2" 2 1/4" X 3 1/4" 3 3/8" X 2 1/8" 4 1/4" X 6"
9/16" X 1 7/16" 1 3/8" X 3 3/4" 2 5/16" X 3/4" 3 3/8" X 5"
5/8" X 1 1/8" 1 1/2" X 3 1/2" 2 5/16" X 3 7/8" 3 5/8" X 5 1/2"
3/4" X 1" 1 5/16" X 2 1/4" 2 5/8" X 3 7/8"
3/4" X 2 13/16" 1 9/16" X 2 3/4" 2 5/8" X 4 7/8"